Paoli isn't the African savanna, but you can still have a safari experience. 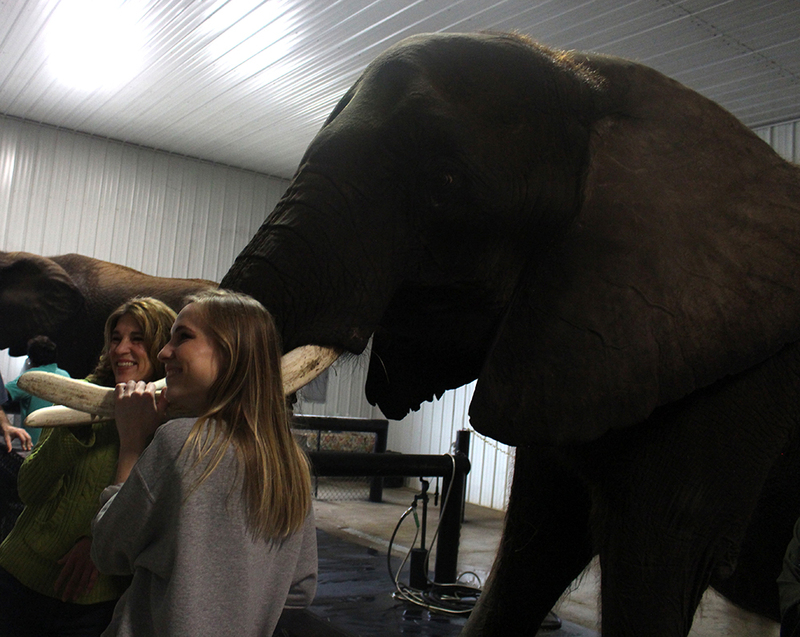 Three African elephants -- Makia, Lou and Lovie – spend the summer and fall months at Wilstem Ranch. Owner Jerry Fuhs and his family house many animals at the ranch, including giraffes and kangaroos, but the elephants are special guests, and visitors can get to know them personally. The girls, as they are fondly called, spend the winter months in Florida, where they graze at their owners' home. When they stopped at the ranch on the way to an event two years ago, they brought so much interest that their owners decided to continue bringing them back. Elephants aren’t the only attraction at the ranch. Wilstem’s giraffes and kangaroos are there year round. You’ll also find zipline tours, horseback trail rides, ATV tours and cabins starting at $139 per night. For more information, visit wilstemranch.com.